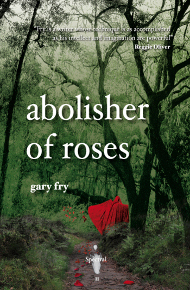 The reviews keep coming in for both Gary Fry’s Abolisher of Roses and Gary McMahon’s What They Hear in the Dark. The Morpheus Tales Review Supplement #13 carried write-ups of both, saying of Spectral Volume II that “… [y]ou are unlikely to find better outside of a Best of Horror collection by Stephen Jones…’ which is high praise indeed. Adrian Brady concludes his bite-sized review of Spectral Volume I with the words ‘… [i]f the quality of the fiction and chapbook are anything to go by then Spectral Press have a grand future ahead of them…’ – it’s more than gratifying to see that people are definitely getting what the imprint is all about. You can read the full reviews by downloading the Morpheus Tales Review Supplement from here completely free – Abolisher of Roses is reviewed on page 13 and the What They Hear in the Dark review can be found on page 31. If you liked what you read of Gary McMahon’s grim take on urban horror in the first chapbook Spectral published, then you may be interested in his latest series of novels, the Concrete Grove trilogy, published by Solaris. The first one, The Concrete Grove, is due out this month on the 7th (despite what it says on the website) and I can thoroughly recommend that you get your mitts on a copy. Gary is definitely a rising star in the horror scene. More details of the novel can be found if you follow this link.